Not all dogs are afraid of loud noises such as storms and fireworks, but some are, and for those pets, and owners, this time of year can be very unpleasant. 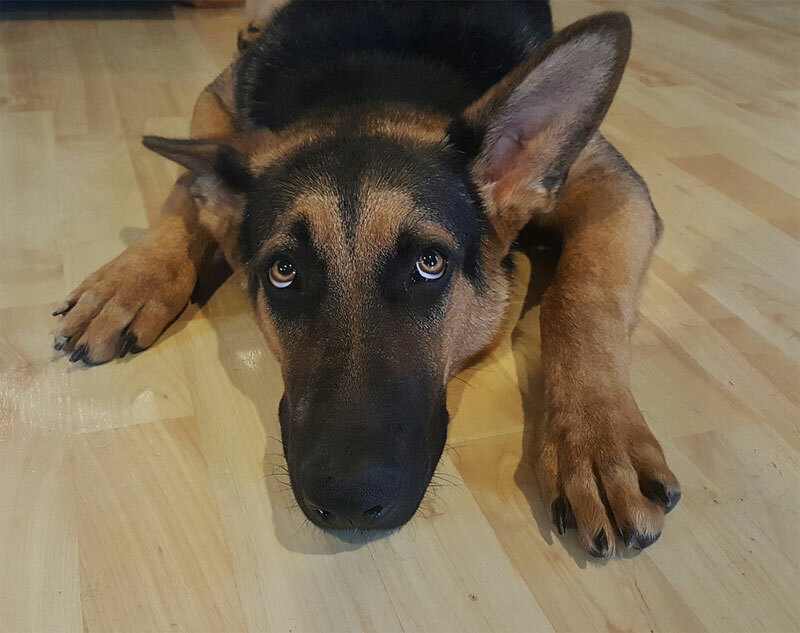 It’s difficult to know sometimes whether or not your dog is anxious, but here are some of the signs you may want to look out for. If your dog is scared of storms or fireworks, then your immediate reaction may be to hug them, but there are some more effective ways of dealing with the situation that can help calm your dog. Place your dog’s bed or crate in the room with you and perhaps give them a nice warm blanket to snuggle and make sure their favourite toys are with them. It’s also a good idea to close your curtains as well as windows as, although your dog’s fear may seem to be of the sound of fireworks or a storm, actually seeing the flashing lights could be adding to their discomfort. Your dog may be happy sitting with you, but may also prefer to wander off and find their own place to hide. It’s worth creating some additional hiding places for them around your home. Things like an old jumper of yours, that the dog can smell your scent on, or some furniture that they can hide under easily. Some dogs feel a calming effect when played music, so music can be a good idea. However, you shouldn’t play it continuously or your dog will become desensitised to its effects. Some dogs also like to watch/listen to the TV and it’s something they may find soothing, so pop the TV on to calm them and also to muffle the sounds outside. Depending on the level of your dog’s anxiety, you may be able to distract them from the noises outside. Try some gentle petting and rubbing of the tummy and even try a game of fetch or offer a treat. This also may mean that, over time, your dog will start to associate fireworks and storms with fun times, rather than be scared. It may be worth trying to desensitise your dog to the sounds of storms and fireworks by using firework and thunderstorm sound CDs. You should start by playing these at a very low volume so as not to cause anxiety, and give your dog lots of treats and play while listening. Slowly increase the volume of the CD over several weeks. This should decrease anxiety during actual storms and fireworks and, in some cases, eliminate it altogether. There are lots of different calming remedies available on the market for dogs. Melatonin is a hormone that can induce calmness but not sleepiness. There are various brands available, so you should consult your vet for advice about which one to use for your dog. There are also a wealth of herbal remedies available, such as Bach flower extracts, lavender oil and dog pheromones and a product called a thunder jacket can help calm your dog by replicating swaddling. Finally, a couple of pointers on food and water. If you are expecting a storm or know fireworks are likely once it’s dark, then feed your dog early. They may become too anxious to eat once the noise starts. Additionally, an anxious dog will pant more and become more thirsty that usual, so don’t forget to top up their water bowl so they have enough water.